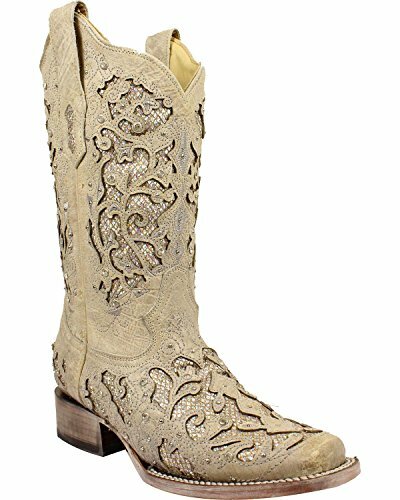 These Corral Glitter and Crystals Cowgirl Boots are beautifully designed and perfect for a country wedding. They are decorated with Swarovski crystals and have an intricate glitter inlay that sparkles and shines. The soft leather lining, cushioned insole, square toe and walking heel make these boots not only stylish but comfortable. Dance the night away in these stunning cowgirl boots from Corral.